The Board has ultimate responsibility for setting the Group’s risk appetite and for effective management of risk. An ongoing process has been established for identifying, evaluating and managing risks faced by the Group. This comprises the maintenance of a detailed risk register by the management team of each division which is regularly reviewed and challenged by the Executive Directors. An annual assessment of key risks is performed by the Executive Directors and presented to the Board. All risks take into consideration the likelihood of the event occurring and the impact of that event. Once the risks have been assessed appropriate mitigation actions are determined for each key risk identified. The principal risks identified in the table below. The Group, its PLF partners and ABSs are subject to an extensive regulatory and legal framework, including the provisions of the LASPO Act 2012 and regulation by either the Claims Management Regulation Unit (CMRU) or the Solicitors Regulation Authority (SRA). Regulatory oversight for claims management companies will transfer to the Financial Conduct Authority (FCA) in 2019. The Government announced plans to change the small claims limit and restrict compensation for soft tissue injury in February 2017, which they intend to implement in 2020. These changes will have a significant impact on the PI sector, upon which the Group is reliant on for a significant part of its revenue and profits. If the Group or its customers fail to, or are unable to, adapt their business models then this could have a significant impact on the Group’s future revenue and profits. The Group monitors regulatory and legal developments closely and this informs our strategic plans and consumer proposition. Management continue to work with the Regulators to ensure compliance and are already interacting with the FCA as it plans its transition. The business model has proven to be adaptable and resilient to change in the past and continues to develop in response to the various regulatory changes including our current reengineering of our personal injury division. The Board will continue to review the model for appropriateness as the regulatory environment develops and adapt accordingly. The Group’s investments in its CC and RP divisions help to mitigate its reliance on the PI sector. Corporate Profile and Brands The Group’s success and results are dependent, in part, on the strength and reputation of the Group and its brands. The Group relies on its brands which includes National Accident Helpline, the various residential property brands and the Bush & Company Rehabilitation brand and is exposed to the risk of these brands being tarnished via any significant adverse publicity. Quality and Independence In CC, Bush’s success is largely dependent on the quality of written materials, its consultants and the preservation of clinical independence. Failure to maintain such quality and independence exposes the business to a tarnished reputation for handling and processing cases which could result in a deterioration in financial performance. The Group engages external advisors to help protect its corporate profile and advise on public relations. Brand performance is tracked and measured on an ongoing basis to ensure that it remains ahead of competitors and delivers compelling messages which drive consumer contacts. Bush is registered as a Domiciliary Care Service accredited with the CQC and adheres to various care standards by the relevant registered authorities. This ensures the Group maintains its brand trust ratings and its reputation. Quality is maintained by a clinical supervision process and highly trained teams of administration support. Clinical independence is the cornerstone of Bush’s business and all consultants have a mixed caseload of claimant and defendant instructions. The Group utilises various IT systems in support of the business and depends on these to deliver the various service offerings to customers and consumers. A major IT or system failure could interrupt our ability to provide those services and impact the business. Furthermore, within PI and RP, technology is becoming an increasingly important part of the consumer proposition and is used to reach out to consumers and differentiate the business from its competitors. Should this technology fail, it could result in reputational as well as financial risks. Through the normal course of its business, the Group handles personal data and it commits to consumers that this data will be protected and only used for the purposes for which it was provided. If this data is not safeguarded, there is a risk that it could be used for malicious purposes, including identity theft, which could result in reputational damage for the Group and/or a significant fine if the Group was found to have not complied with the regulations. The Group does not rely on one single system or platform, rather having individual systems for specific purposes. These systems are supported by appropriately experienced individuals and third parties and subject to back up and disaster recovery processes. Critical systems fail over and recovery processes have been successfully tested with no issues identified. The Group operates Information Security policies to the principles of ISO 27001. The Group continues to invest heavily in optimising the consumer journey through the use of technology to ensure it remains competitive and attractive to its consumer base. The Group takes data security very seriously and has put in place robust data protection procedures to ensure it is compliant with the Data Protection Act 1998 and other relevant regulations. The Group has planned carefully for the forthcoming GDPR regulations to ensure compliance. Panel Capacity In NAH, the Group is dependent upon its PLF customers in order to maintain a flexible distribution strategy. The announcement of the planned regulatory changes described has prompted some law firms to review their investments in the PI sector and consequently some demand reduction has already been evident. Depending on the long-term impact of the reforms it is likely that PLF demand will be permanently affected for specific claim types which could negatively impact the financial performance of the Group. 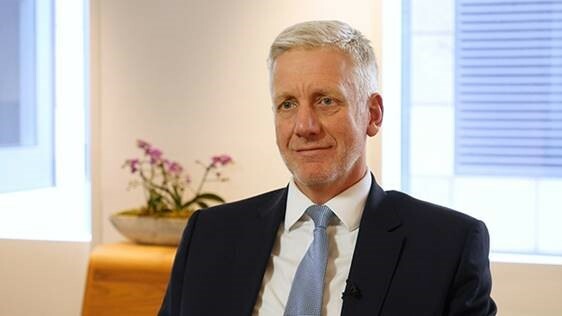 ABS Performance In response to forthcoming reforms and the changes to panel demand, the Group has launched two ABSs ventures and announced plans for a third ABS aligned with further investment in case load and capability. The Group is planning for an increasing proportion of claims generated by NAH to be processed via these ABSs and this will require increased investment in working capital as the cases may take a number of years to settle. Should cases not be progressed in line with the Group’s expectations or perform in a way that wasn’t predicted, it could lead to significant impact on the quantum and timing of revenue recognition and cash conversion thereby having a material impact on Group performance. Online Marketing The Group relies on its marketing strategy to retain its market leading position in both the PI and RP sectors. Any significant change in technology, cost increases, changes to search engine algorithms or terms of services could impact the Group’s ability to maintain its rankings on search results and ultimately lead to it having to spend more resource and expenditure to meet its financial returns. The Group continues to provide its customers with high quality business that ensures they maximise their financial performance. In recent years, the Group has rationalised its panel and built strategic partnerships with a fewer number of larger PLFs whom the Group believes have the operational experience and financial strength to succeed in this market. That said, the Group ensures that no single customer accounts for a disproportionate amount of the Group’s business each month. 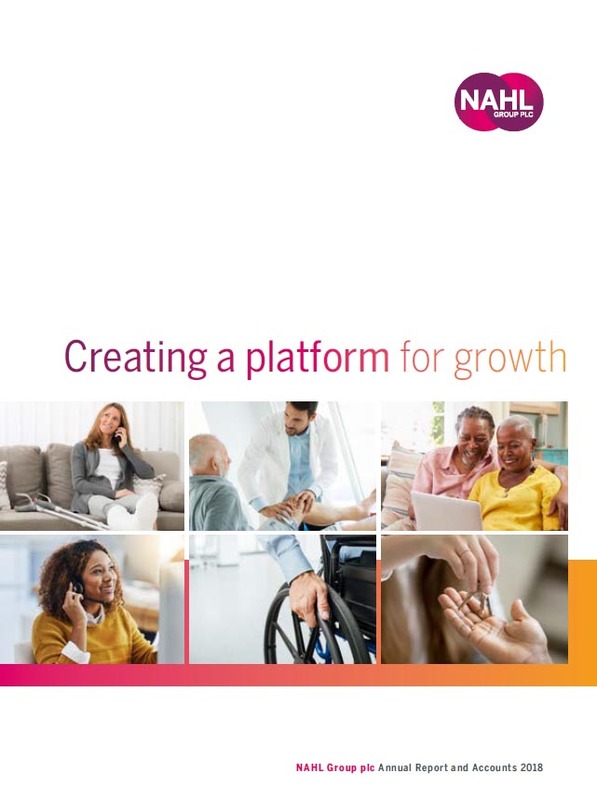 In response to these challenges, NAH continues to explore new relationships with its customer base, including offering PLFs different funding models whilst ensuring it is able to service the needs of the Group. Like the rest of the Group, the ABSs are subject to budgetary control and ABS business plans reflect both the Group’s significant experience of PLF operating models and performance metrics and those of the ABS partners, who are themselves successful PI law firms. This provides reasonable assurance over the accuracy of the ABSs forecasts. Additionally, as the controlling partner, the Group conducts ongoing reviews of the key performance parameters on a weekly and monthly cycle. These metrics are monitored by the Board and management at an ABS, divisional and Group level. Any significant deviations from plan are investigated and improvement plans implemented in line with contractual Service Level Agreements (SLAs). The Group has extensive experience of managing its marketing strategy through a combination of internal marketing experts and external agencies. In 2017, the Group has strengthened its internal capabilities to ensure it has the flexibility and speed required to react to the potential risks outlined. Following the acquisition of subsidiary companies the Group and Company have recognised investment and goodwill assets on their balance sheets, the value of which is supported by their future cash flows. If the performance of these acquisitions falls below expectation, there is a risk that these assets may become impaired and require a writedown in value which could negatively impact financial performance of the Group and its ability to pay future dividends to its shareholders. As the Group has diversified and operates a number of distinct business models there is increased risk that revenue and profit may be incorrectly recognised, or recognised in the wrong period. The headroom, or difference between the valuation of investment and goodwill assets and their carrying value in the financial statements, is assessed regularly and reviewed by the Board at least annually and upon discovery of any indicators of impairment. Assessment is conducted with reference to the Group’s long-term forecasting model and is subject to stress-testing and scenario planning. The Group has put in place formal revenue recognition policies covering each of the businesses and implemented financial and operating systems with a series of controls to ensure revenue is not materially misstated. This is supported by monthly reconciliation procedures conducted by the Group’s finance function and periodic internal audit reviews, backed up by independent assurance from the Group’s auditors. The Group’s future growth and success depends, in part, on the leadership and performance of its Executive Directors and Senior Management Team. The loss of any key individual or the inability to attract appropriate personnel could impact its ability to execute its business strategy successfully which could negatively impact the Group’s future performance. The Group maintains competitive and attractive employment terms and conditions, fully empowering key individuals and allowing them to maximise their job satisfaction. The Group incentivises key management through annual incentive plans in the short-term and through share options for medium- and long-term retention.